The Exclusive Premium Hand Craft is right here and right now! Go grab your units because I can tell you that you are going to love every bits and piece of it , it has been crafted with such premium quality craftsmanship and material that it won't leave you for decades! The Craftsmanship is so sheer out there and can be estimated through the pictures itself! 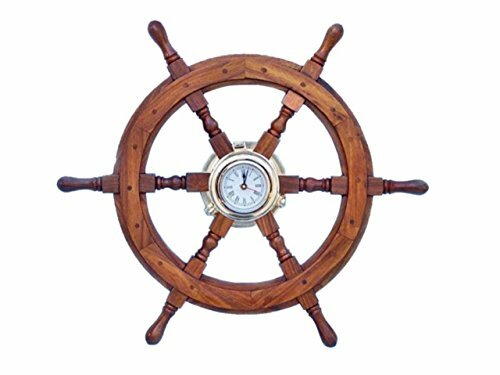 Nautical Ship Wheel features a medium sized Solid Brass Polished Clock which replicates the old age style Ship's Porthole Windows through which you could see and stuffs!. These do come in various sizes and colors but this one is really the one that completely out-stands. Premium Solid Wood has been used to craft this masterpiece! Extremely Humble and Sophisticated design and style! Designed to impress each and every one of your colleague! It makes a great birthday or any occasion gift! Keep Exploring Nagina International for impressive lovely decor for your furnishing your Homes and Places! 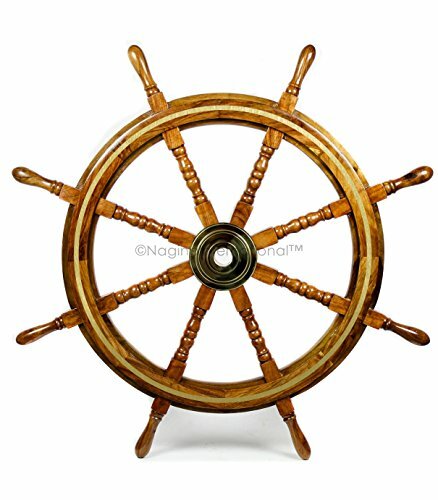 Nautical Premium Hand Crafted Sailo'r Ship Wheel With Wonderful Brass Work and Brass Handles!. These are premium ship wheels right from the factory and you get a freshly produced one with much more dedication and love than any other stocked up seller!. We bring you the best possible quality because we know that our customer's never compromise with the quality and so we don't!. This is just a glimpse of what can be done with the ship wheels in terms of decoration and fabrication!. Coming out first time to our esteemed customers!. Buy with Confidence! We promise you the quality as displayed on those pictures!. 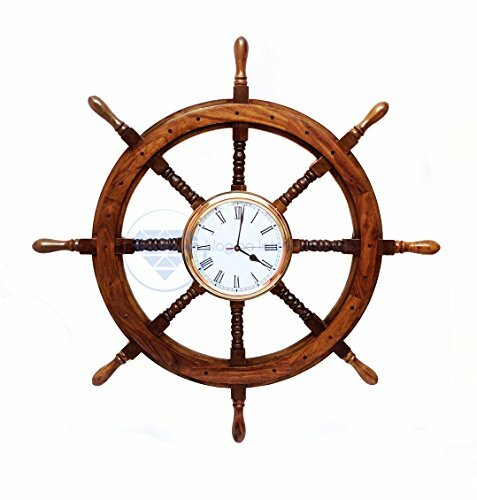 This solid quality Wooden Ship Wheel is a must have in your nautical themed room. This quality wall collectible is well built keeping in mind the quality parameters of very high standard. This absolute stunning Wheel is mounted with a Brass Porthole on it which is itself fitted with the Golden Radial Dial Background With Numeral Clock Numbers to express time. This clock can be used in your Fireplace Mantel, Living Room, Hall, Wall etc. This is perfectly fitted on every place. 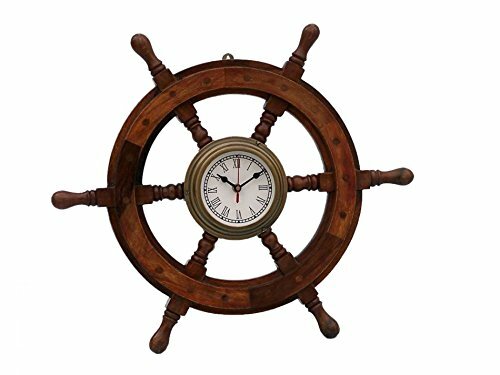 Nagina International is having a complete range of such Nautical Decor Items and collectibles. Keep exploring our Amazon Catalogue or Check Our Store because we keep updating and adding new products to our product line everyday. Thanks for visiting this page. 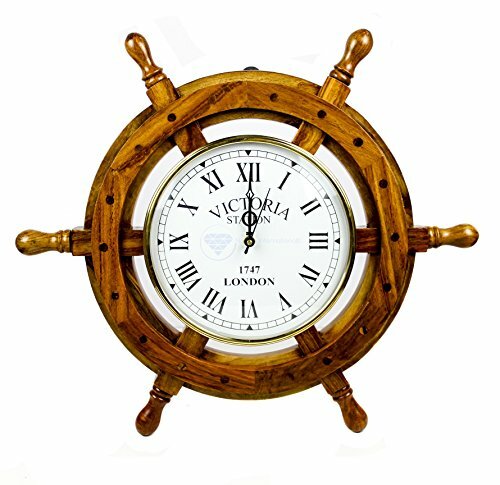 The Premium Nautical Clock Ship Wheel! Crafted Using Premium Solid Hardwood! 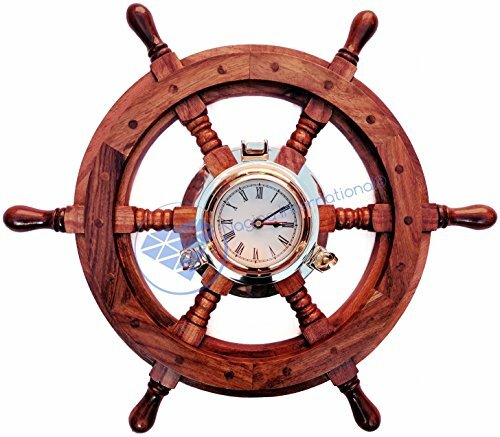 We bring you the best quality Nautical Ship Wheels Clock! The Clock has been attached to the Spokes of the wheel which makes it a premium luxury Decor Clock! The Solid Craftsmanship can be see through the pictures itself! The Premium Clock's wheel comes in various sizes along with various clock sizes! Keep Exploring the Nautical Premium Collection! 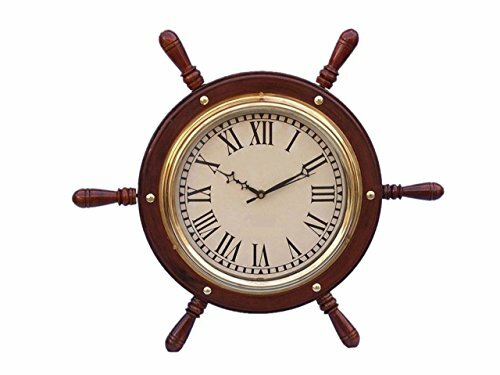 Looking for more Solid Brass Ships Wheel Clock similar ideas? Try to explore these searches: Infrared Glass Broiler, Socket Shovel, and Blue 2 Piece Pant. 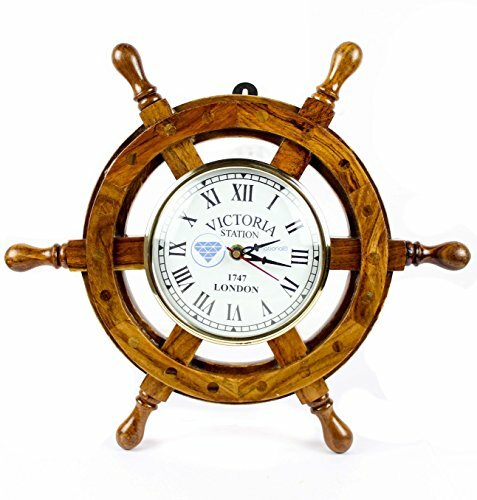 Look at latest related video about Solid Brass Ships Wheel Clock. Shopwizion.com is the smartest way for online shopping: compare prices of leading online shops for best deals around the web. 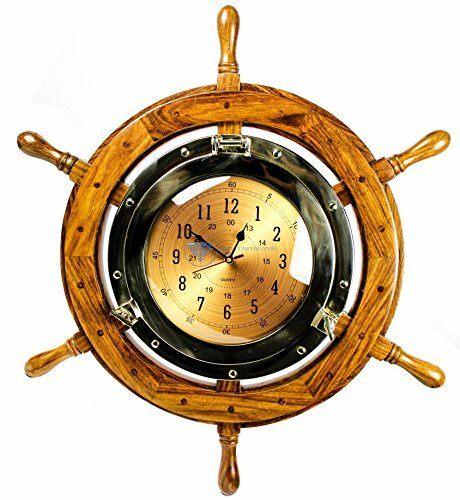 Don't miss TOP Solid Brass Ships Wheel Clock deals, updated daily.